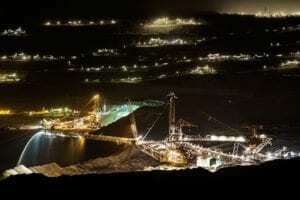 Faced with rising energy costs and fierce environmental pressure, mining enterprises must produce more with less to remain competitive in today’s global economy. The mining industry requires inventive solutions to control costs, increase water and power efficiency, and improve safety performance. With increasingly stringent environmental pressure including reduced CO2, certified Environmental Management System (EMS) and ISO 14001 combined with competitive pressure for cost reductions and improve safety, you need an engineering partner who understands your business and project objectives. 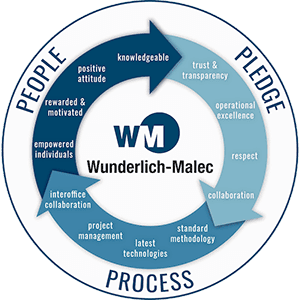 Wunderlich-Malec provides a wide array of application expertise for the mining and metallurgical industry. Our total solutions include feasibility, budgeting, implementation, start-up, and commissioning elements. Our process control and instrumentation solutions enhance complex engineering processes to increase plant reliability and improve operational performance. Your project requires an experienced, trusted and proven organization that is dedicated to YOUR success. … provides the confidence you need to know that your project is going to be delivered on-time and on-budget with results that exceed your expectations.